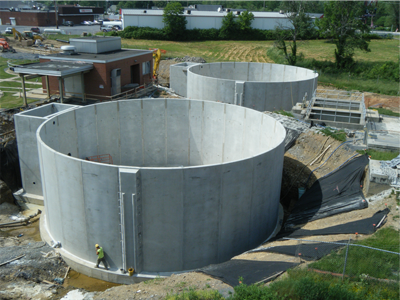 Wastewater engineering has been one of our firm’s core markets since our inception in 1989. We employ the latest technologies and draw on our staff’s vast experience to ensure that our clients are well informed and equipped to deal with the ever changing regulatory challenges faced by systems both small and large. Stiffler McGraw’s role is to work closely with our clients to evaluate their wastewater needs to develop a comprehensive, cost-effective plan to address those needs. The plan will include the preparation of a Sewage Facilities Plan (Act 537); preliminary and final design of the recommended plan, completion of permit applications, construction management and inspection services.